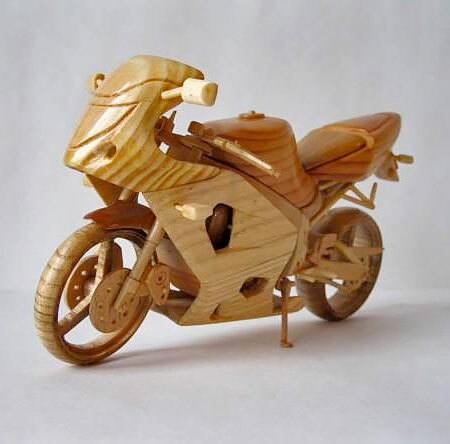 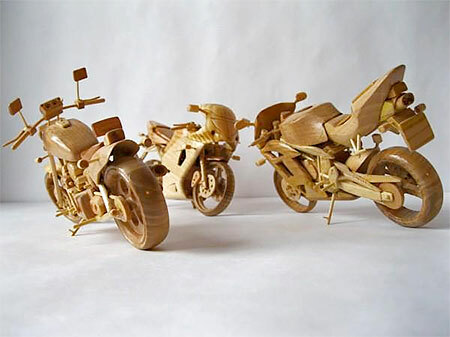 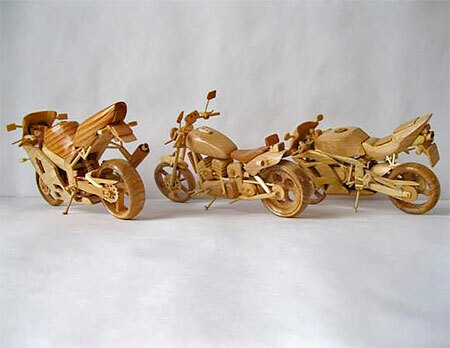 Detailed miniature replicas of various motorcycles handcrafted out of wood. 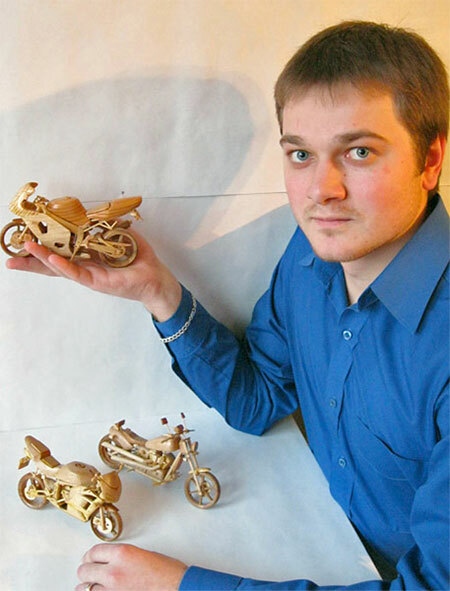 Motorcycle sculptures made by Ukrainian artist Vyacheslav Voronovich. 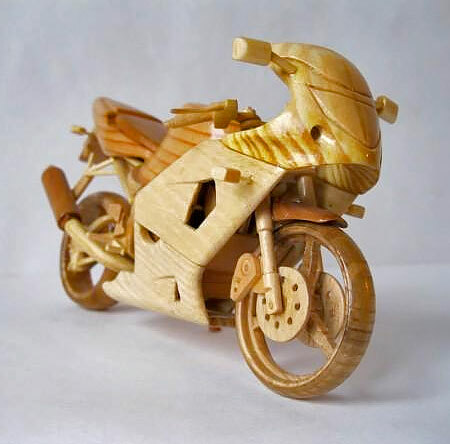 Back in my country, Indonesia, those kind of things often found in any market around the nation. 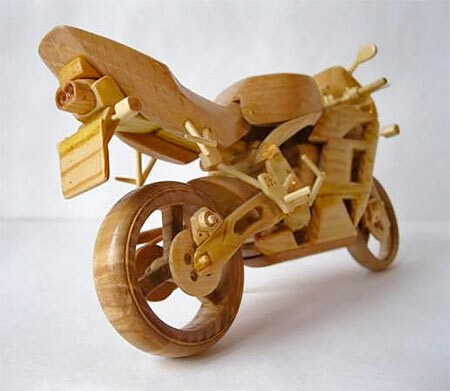 Not in that detail, but surely the artists can do some more. 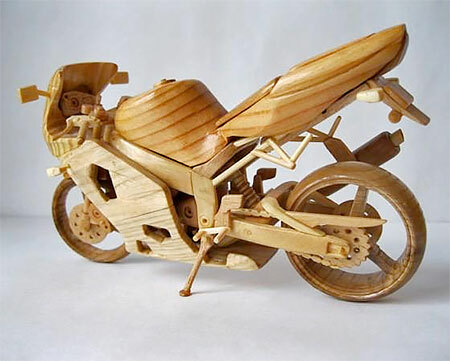 So ya, it’s no special, mate.